Online Proofreading Test. Completely FREE! No red pen required! Have you got what it takes? Here are some great proofreading tests that don’t require a red pen, a magnifying glass or a dictionary. In fact, they don’t require you to read anything at all. Let’s start with a question. Well, not so much a question as a challenge. Have you got what it takes to be a proofreader? Can you spell? Do you have a good vocabulary? Do you have a sound grasp on the fundamentals of grammar? Yes, yes and yes. But do you have what it takes to be a proofreader? Because proofreading is as much about observation as it is about understanding the finer points of syntax. The tests below will give you an idea of what I’m talking about. Don’t worry if you fail; it doesn’t mean you can’t be a proofreader, it just means you have to be aware of your blind spots when proofreading. If you passed, then you, my friend, are a born proofreader. 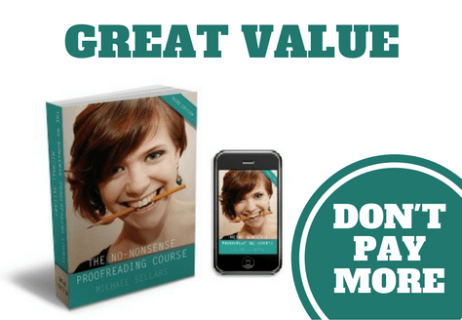 When you're proofreading, you'll often find yourself enjoying the material you're reading, particularly if you're reading fiction or an entertaining feature article. It is vitally important that you stop enjoying yourself. Immediately! This little test gives you an indication of how difficult it is to 'stick to the facts' when there's so much fun to be had. This proofreading test highlights the way the human brain skips information it perceives as 'filler' (in this case, words that don't have any significant meaning). This proofreading test highlights how easy it is to miss something glaringly obvious when you're consciously looking for something else. It is this phenomenon that sometimes leads to proofreaders spotting a rogue hyphen but missing a conspicuous spelling error in a large, bold headline. This proofreading test indicates how you can be steered in a particular direction and focus on a specific detail, whilst any number of factors pass you by entirely. Even if you only spotted one thing, you’re doing very well. In most of these tests, well over half of the population miss all the relevant details. What have we learned? Well, the human brain is formidable but, ultimately, fallible. When proofreading, you should always approach each document ‘without prejudice’. Don’t be persuaded to look for a particular type of error. Plus, it always pays to step back and look for the obvious. By the way, did you spot my deliberate error? Proofreading Test Four was headed 'Proofreading Test Three'. Easy to miss when there are all those shiny YouTube distractions to contend with. 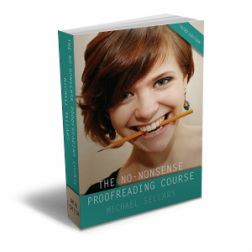 The No-Nonsense Proofreading Course contains lots of hints and techniques to help you focus on your proofreading. Take a look at what else is in it here.